Home Blog What Is the Education System Like in France? How Do the French View Education? Before you begin working your way to foreign language fluency, it helps to understand the culture behind the language you’re learning. After all, language exists to help a group of people express their ideas and beliefs. France is an old country with a rich history and culture. As you begin your French language program, gaining a strong grasp on this history, the values, and the etiquette will help you rapidly achieve success. In particular, the French place a great deal of value on their education system, making sure that everyone in the country has access. “La rentrée,” or “back to school” for the French, is in the first days of September. Parents are expected to pay for books, supplies, sports equipment, and appropriate clothes for their children. French schools do not require uniforms. The experience of attending school is very important for the French. School work is difficult and children are expected to meet high standards. Those who pass continue on to higher levels. Those who fail have to repeat the year, while their friends move forward. 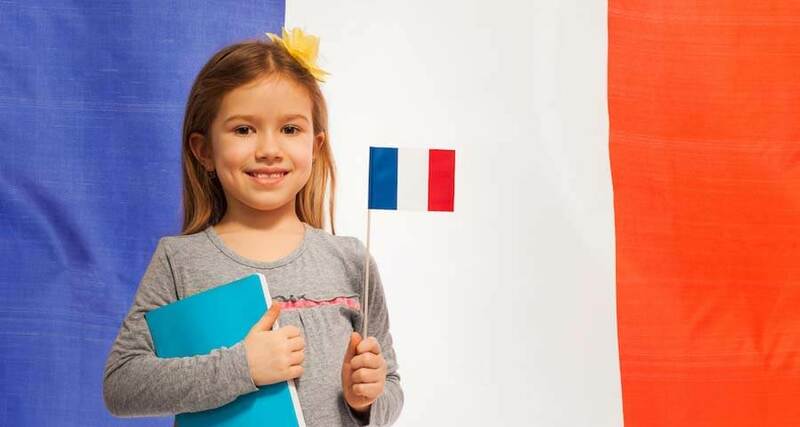 Children from other countries who attend French schools often are not prepared for the requirements they need to fulfill for the French curriculum. The French focus a great deal on mathematics and logical thinking. Secondary education stresses the need to prepare the student to productively contribute to society. This is in sharp contrast to the United States, where there is an equal emphasis on general academics, expression, and creativity. Graduation at the end of secondary school comes after the student successfully completes the “baccalauréat,” or “bac.” Students who attain a bac at a certain level receive free entry to university. Virtually all universities are state funded and very cheap in France. Entering university is just the beginning of a long journey for many who would like the opportunity to rise in French government and industry. To even be considered for careers working with the brightest minds in France, a university student has to first spend several years towards receiving a Bachelor’s degree. Next comes attaining a Master’s degree. Parallel to the general university system runs the “Grandes Écoles” system, or “great schools.” Those highly selective establishment require 2 or 3 years of “classe préparatoire” and very selective examinations, with up to 12 different written and oral assignments. In some of those schools, like École polytechnique or École normale supérieure, students are paid around 1250€ a month just to study. In business schools like HEC or ESSEC students do pay quite a lot, but still less than in America. The pinnacle of the French education system being accepted into the Grandes Écoles. In order to be accepted into a Grande École, you must pass a very competitive examination. It is extremely difficult just to be qualified to take the examination and even harder to complete. Recently, some Grandes Écoles were opened up to foreigners with the entrance examination being available in English. This decision was made in hopes of recruiting the best minds, without regard to nationality. For Americans, the closest comparison would be being accepted to an Ivy League school for a post graduate program, such as Harvard Law School. The comparison for British students would be acceptance to Oxford or Cambridge. Successful completion offers students more than just the title of Graduate of the Grandes Ecoles. It opens up opportunities in government and industry that mere graduates of a university will never be able to entertain. Graduates of the École Nationale dAdministration are called “énarques.” These graduates are slated for high level positions in government, civil service, or industry. French presidents Jacques Chirac, François Hollande, and Emmanuel Macron were “énarques.” Throughout their career, they may find themselves moving between the different positions. Those who graduate from École Polytechnique, a school nicknamed “X,” and have similar opportunities open up. These extremely competitive schools offer a level of prestige not seen anywhere else in French society. Students that complete the program have nearly unlimited opportunities presented to them at the ripe young age of twenty four. They become part of the elite class that dominates French politics, civil service, and industry. Education is paramount to French parents. It is held to a much higher ideal than experience, which is often valued more in the United States and England. Having the right academic credentials in France is a must for success. American and British teachers who look for work in France have found out how much of a premium the French put on academic performance. Someone may have more experience than other candidates for a position but be viewed as inadequate because they do not have sufficient academic credentials. French children begin in nursery school before they are six years old. Between six and sixteen, school attendance is compulsory. Most children attend a state school until they turn eighteen. France has a national curriculum, which all students must pass, and they are required to repeat grades if they fail. There are religious and non-religious private schools that also follow the same national curriculum as the public state schools. Most private schools are under contract to the state so you do not see as much of a division between church and state as you do in America. Grants are made available for low income students and scholarship opportunities for those who excel in academics. The majority of parents are expected to pay for all books and supplies needed for their children to attend school. The most important subject in French state schools is mathematics, the subject that the French consider to be the best gauge of intelligence. Philosophy is compulsory for students in upper secondary schools.